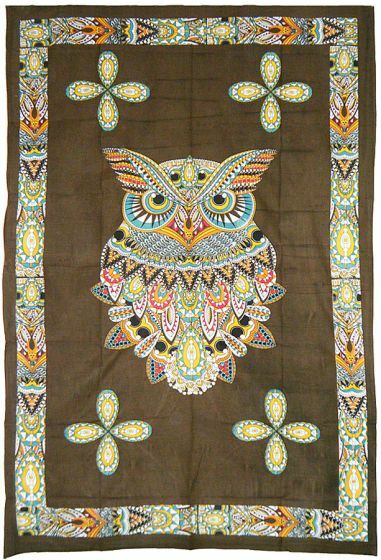 This twin size tapestry measures approxamtly 54" x 86" and has a brown background with a sacred owl theme. It would look great as a wall hanging or over a bed or couch. Also perfect to use at a festival.